How intuitive are modern keyboards? It can take a beginner ages to really get up to speed with a QWERTY keyboard, and without some form of formal training, most people wind up becoming one-finger typists. Or this one, beautiful though it may be. Notice something common about them? Look at the location of the keys. The modern keyboard has evolved from this piece of equipment from the 19th century. None of us was even born when this keyboard style was first adopted in 1873. The reason the letters were placed as they were (rather than in alphabeticalorder like the early typewriters) was to solve a problem that existed at that time. Some people wound up typing so fast that the mechanical rods attached to the keys would stick to each other. To resolve this, the QWERTY keyboard was developed. It placed keys in such a manner that the most used letters were spaced out so that the rods were less likely to clash into each other when typing. This keyboard layout became standard with the popularity of the Remington typewriter which was the first to use it, and all other manufacturers fell in line. So here we are, more than 140 years later, using a keyboard layout designed to fix a problem that no longer exists. How many people today use a typewriter? How many have even seen one? We have an entire generation growing up today with mobile devices, and even these use the QWERTY layout! Over the decades, many people have tried to introduce a culture shift with keyboards that make more sense. Like this one, called the Dvorak layout (see Dvorak Simplified Keyboard), which is designed to increase typing speed. Or this one, which goes back to the alphabetical ABCDEF layout. 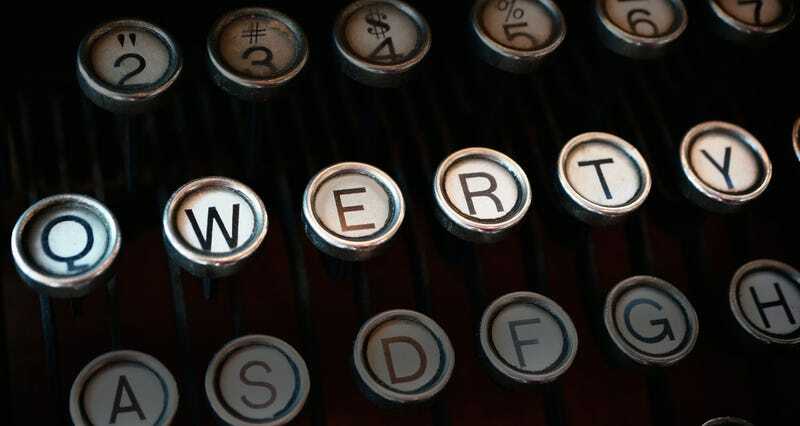 So why do we persist with the QWERTY layout? Because everyone has somehow learned to use it, and most of us have become so good at it that we type without even having to look at the individual keys any more. To get used to a different layout would almost be like learning a different language. Learning to use an ABCDEF keyboard at around the same time as they are learning the alphabet is the best way to introduce a mindshift with keyboards. Kids can even learn to handle two different keyboard styles (ABCDEF and QWERTY), just as they find it easier than adults to learn a new language. So if we want to leave the 1870s behind and step into the brave new world of 2014, it might be best to have the kids show us the way. What are some examples of products that have bad user experience (UX) designs but are still used with ease? originally appeared on Quora. You can follow Quora on Twitter, Facebook, and Google+.